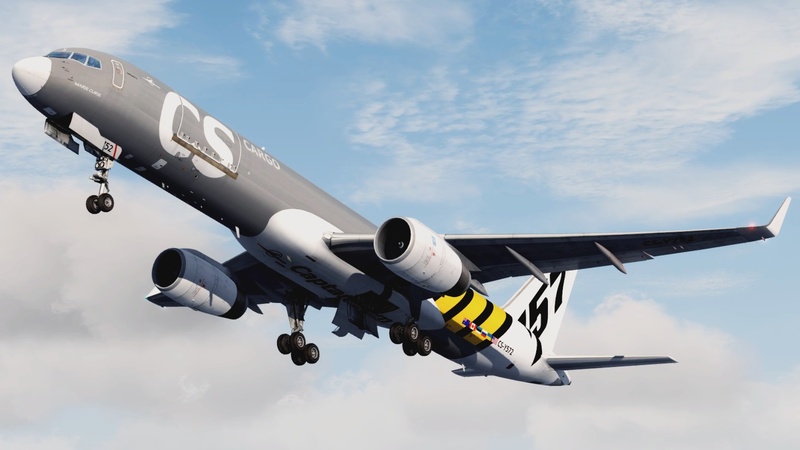 After the release of the Captain Sim 757 Captain III Freighter for P3Dv4 earlier this year, the development team has released the 32-bit version. The 32-bit version is compatible with FSX, FSX:SE and Prepar3D V3. The 32-bit version of the aircraft is an add-on for the base pack and brings the complete freighter experience along with it. In total, 11 models have been released with the expansion pack, and include both engine variants: PW and RR. Other features include custom engine performance, custom flight model and animated high loaders and a variation on the freighter model itself. The Captain Sim 757 Captain III Freighter is now available in 32-bit form for $19.99. Unlike in the 64-bit world, there doesn’t appear to be an essential pack, which was released days after the initial Freighter release on Prepar3D V4. Don’t forget, you will need the original base pack for FSX/P3Dv3 which is available here for $69.99. The RR engine systems and sounds included. The RR Expansion is not required. • FMC cargo management features. • Cargo management 2D panel. • Custom cargo management sounds.